Enjoy superior sound quality, listening clarity and more natural hearing. Technology that enhances and optimizes speech. The ability to reduce background noise. Make adjustments to suit your preference. Create geotagged memories for frequently visited locations. Monitor your daily steps and activities. Track hearing aid use and social engagement. Sensors detect falls and alert selected contacts. View heart rate and heart recovery rate information. 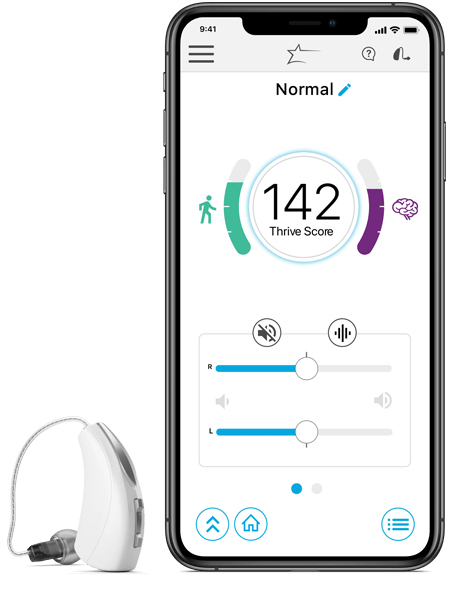 * Coming soon for Circa AI rechargeable hearing aids with a custom Healthable receiver. Ask questions to troubleshoot hearing aid and accessory issues. Request remote adjustments without an office visit. Translate 27 different spoken languages.